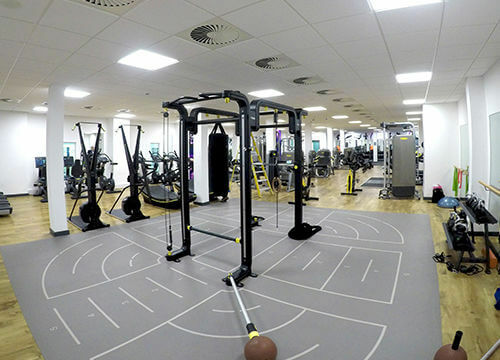 The new Stone Leisure Centre gym is the perfect place to achieve your health and fitness goals, giving you all the fitness tools you need to stay motivated. Looking for an extra helping hand? Our friendly and enthusiastic staff will encourage you to achieve your best! As one of the newest gym facilities in Staffordshire, our new state-of-the-art gym offers 70 stations of fantastic equipment, suitable for a range of fitness levels. You'll have an enjoyable workout that is right for you. We have a dedicated team of highly qualified fitness professionals on hand to assist you in achieving your exercise goals from fat loss to gaining muscle, improving your performance for a sport or improve your general health. OMNIA™ MOVE programs are for people who want more energy in their daily life and want to feel fit and free to move in all circumstances. OMNIA™ TRAIN programs are for people who want to burn calories, train like an athlete, tone up and enhance their physical performance. OMNIA™ PLAY programs are for people who want to stay fit and stay motivated in a group context where they will achieve long-term results and benefit their lifestyle. Our Kinesis station circuit will allow you to experience Intuitive Functional Movement. The easy to use equipment combines the benefits of functional strength with the simplicity of more conventional equipment. Beginners through to Expert will find new and innovative ways of keeping their training fresh and challenging. The new flooring is shock absorbing, so when performing impact or functional movements, the flooring will help users to avoid injury. The new flooring utilises the floor space for multiple gym users. Born from Technogym’s experience spanning two decades as official fitness equipment supplier to the Olympics, SKILLMILL™ is the first product allowing everyday athletes to improve their Power, Speed, Stamina and Agility, and enjoy the benefits of professional sports training in a safe, engaging and effective way. We are very proud to be offering such a new state of the art facility for the residents of Stone and surrounding areas. Whatever your health and fitness goals are we can help you achieve this! Find out about our fantastic memberships - we have something to suit everyone!